At this year’s GlobalShop, DLC picked up the win for IIDA’s Product Design Competition in Lighting! 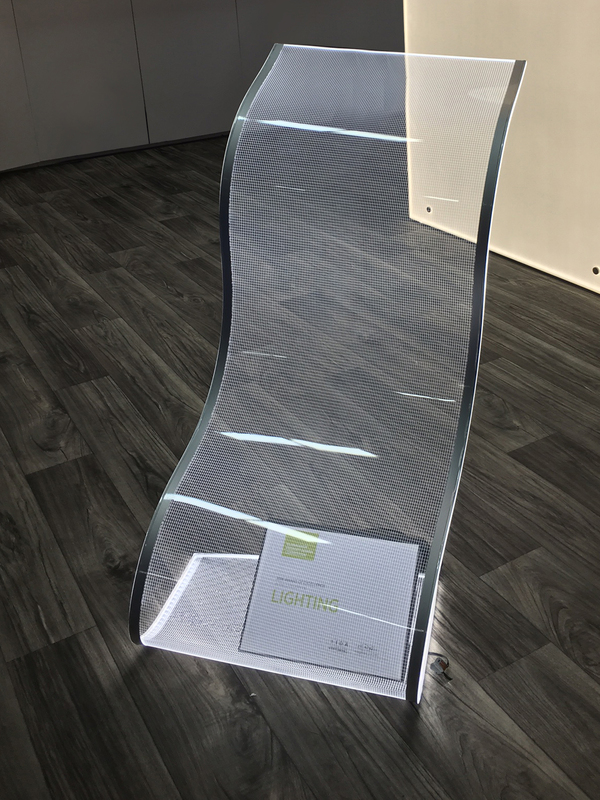 The winner: Thermoform LumiSheet. It’s an LED light panel that can curve while staying evenly lit across its entire surface. Thermoform LumiSheet is the newest innovation of our original, patented panel, which was the first of its kind to market. Because our panels are frameless, we have the flexibility to create countless options to push the limits of lighting design. This is a panel like you’ve never seen before. It creates lighting that wraps around the corners and architecture of a store. It also makes brilliant art focal pieces. Available in our full range of color temperature options including variable white, the customization scope of Thermoform LumiSheet is virtually limitless. Get in touch with your curved light ideas and we’ll help make them a reality. previous post: Way to Go, Lukas Peet Design!